Senior housing is again considered one of the best bets for real estate investment and development for the year ahead. That’s according to the 40th annual Emerging Trends in Real Estate report from PricewaterhouseCoopers (PwC) and the Urban Land Institute (ULI). Investors identified senior housing as the top prospect for both investment and development of residential property types in 2019, just as they did last year. Senior housing also ranked No. 2 for investment, and No. 3 for development prospects in the commercial and multifamily subsectors for the year ahead. One of the primary drivers behind the strong interest surrounding senior housing has to do with the strength of the U.S. housing market, according to Byron Carlock, who leads PwC’s U.S. real estate practice. And, as widely noted elsewhere, the looming “silver tsunami” of baby boomers also plays a sizable role in the sector’s attractiveness to investors and developers. And, there’s still plenty of untapped potential left for the industry, further increasing its potential attractiveness to investors, according to Beth Burnham Mace, chief economist with the National Investment Center for Seniors Housing & Care (NIC). For the report, researchers with PwC and ULI personally interviewed 750 people, and about 1,630 people responded to a survey sent out by the two organizations. This year, just over half of the survey’s respondents were affiliated with a private property owner or developer, or a real estate advisory or service firm. The respondents also represented a wide cross-section of other industry players, including real estate investment trusts (REITs), lenders and institutional investors. As transaction volumes grow and more big-dollar portfolio deals come together, investors are comforted by the fact that, should they decide to pare down their presence or leave the industry altogether, it’s now easier to do so than before. In turn, this gives investors more confidence to take on more investment risks, Carlock noted. More than $13.6 billion worth of transactions occurred on a rolling four-quarter total for the senior housing and care sector in the second quarter of 2018, according to data from NIC. And investment in senior housing — sometimes thought of as a “recession-proof” property type — provides diversification for real estate investors with other, more cyclical property holdings. Senior housing will likely outpace the broader, major sector net operating income (NOI) averages in 2020, 2021 and 2022, according to data from Green Street Advisors highlighted in the report. Some particular types of senior housing projects are currently gaining favor among investors. In particular, independent living, active adult and intergenerational communities are all emerging as attractive kinds of projects these days, Carlock said. Such communities include Mirabella at ASU, a $250 million life plan community located on Arizona State University’s main campus in Tempe, Arizona; and Legacy Pointe at UCF, a roughly $170 million continuing care retirement community (CCRC) located at the University of Central Florida in Orlando. That’s not to say there aren’t challenges within the industry, either. The ongoing labor shortage and new supply in some markets — both of which are well-documented within the industry — will continue to plague senior living owners and operators for the foreseeable future, the report noted. While these risks illustrate the need for a cautious near-term strategy in the senior housing sector, they also create new opportunities for investors with some capital to spend. “Holding money on the sidelines may be a good near-term strategy, as a growing number of distressed deals need capital infusion, recapitalizations, and new partners,” Mace wrote in a senior housing update included in the report. Each year, the Emerging Trends report ranks markets for their overall real estate prospects, based on survey responses. This year, the Dallas/Fort Worth market took the No. 1 spot due to its young workforce and high business start-up activity. The New York City borough of Brooklyn and Raleigh-Durham, North Carolina, followed in the No. 2 and No. 3 spots. The latest top 10 list is a marked change from last year, when Seattle; Austin, Texas; and Salt Lake City took the top three spots. While those markets may hold appeal for general real estate investors, they don’t necessarily have the same sway with those that deal in senior housing. 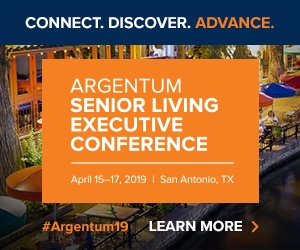 Dallas, in particular, has seen a good amount of new senior housing development as of late, leading in part to an average occupancy rate of 83.4%, according to NIC data — well below the current industry average of 87.9%. “If I were looking at … the most promising markets for senior housing, I would not put Dallas into that category because of the amount of supply that’s come into that market, and because of its currently rather low occupancy rate,” Mace said. Raleigh-Durham, meanwhile, saw an average senior living occupancy rate of 92.3% in the third quarter of this year, as the market had seen relatively moderate new senior housing construction activity until recently. New York City has attracted senior living investment of late. In addition to some big-ticket projects underway in Manhattan, a historic Brooklyn building is being adapted for senior housing by Tucson, Arizona-based Watermark Retirement Communities and Kayne Anderson Real Estate Advisors (KAREA). With few senior living options available, New York City overall has the lowest penetration rate for independent living in the nation. So, new senior living projects in NYC will face little competition. However, given its intensely competitive and pricey real estate market, it’s also among the toughest markets to enter.